Girls Rowing Team circa 1950? Isobel Malcolm, Maggie-Ann Walters, Alison Malcolm and Tina Gillies. 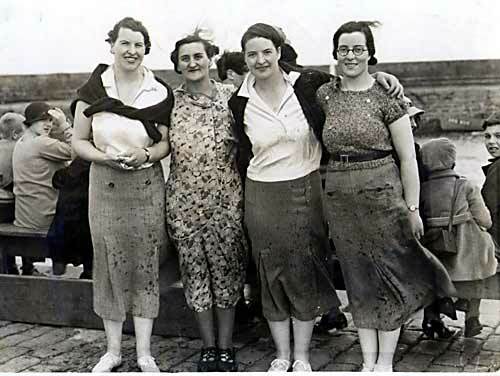 Yes the lady second left is my aunty Nan as she was known to her family.